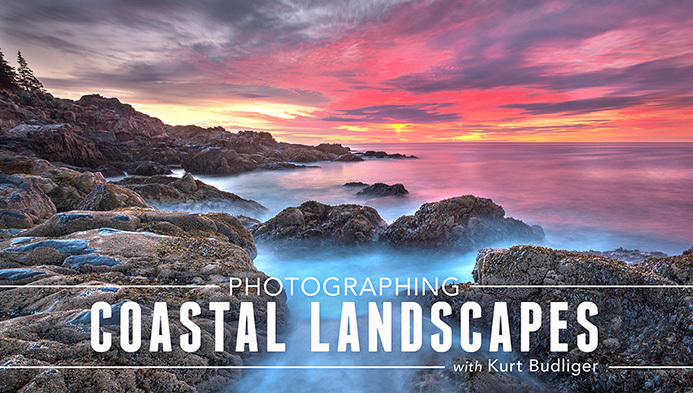 Create dramatic photographs of land and sea with professional photographer Kurt Budliger as your guide in this all access online workshop. 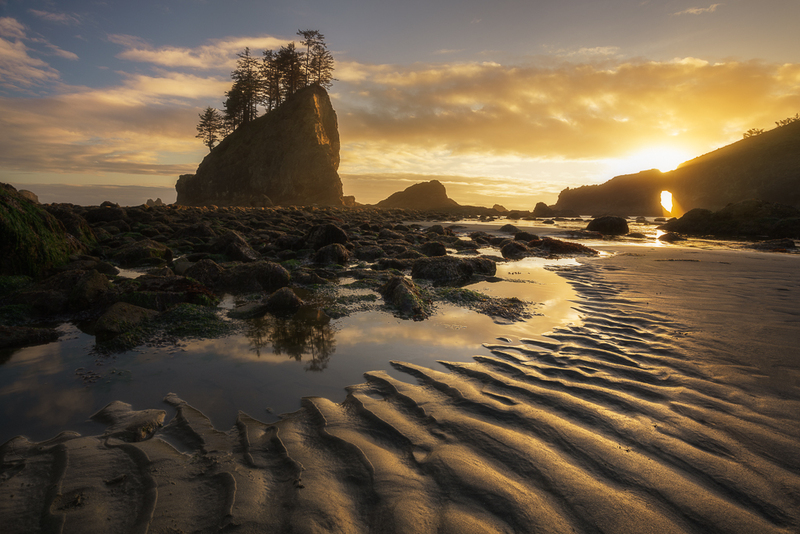 Learn essential techniques for coastal photography, starting with how to track tides and scout shoot locations for optimal results. Harness natural light as you utilize the beauty of the blue and golden hours, and incorporate fog, storm clouds and atmosphere for distinctive images. Explore a variety of ways to properly expose for dynamic range, incorporating graduated neutral density filters and polarizers. Then, discover Kurt’s expert tips to create compelling, one-of-a-kind compositions with depth and balance. Capture crashing waves with crystal-clear focus, and use long exposure for ethereal, otherworldly images. Finally, learn advanced post-processing techniques to enhance vibrance, optimize dynamic range and create captivating visual flow. Click here to purchase the class. Learn how to maximize natural light and atmospheric conditions for dynamic compositions that will resonate with your viewer. Gain a deeper understanding of the technical aspects of light and learn how to harness the beauty of the golden and blue hours. Capture dramatic clouds, fog and other weather phenomena to create photos with energy and movement that provide your viewer with a sense of being there. Minimize post-processing time as Kurt shows you how to use the histogram and live view features to properly expose for dynamic range in the field, making sure you keep the details in your highlights and shadows. Then, see how some simple polarizers, graduated neutral density filters and exposure adjustments will not only bring out details and saturate colors, but also convey moods and evoke emotions. Learn professional composition tips for identifying and capturing patterns, adding balance to photos and searching out “power shapes.” Discover how lens selection greatly affects images and how to work through a scene to make sure you don’t miss the shot. Master proper exposure for water as Kurt demonstrates capturing the action of a crashing wave as well as the quiet, misty beauty created from a long exposure. Discover how to adjust settings to turn the light you have into the light you want, and witness the different photos captured just by adjusting shutter speed. Push your camera to its limits as Kurt shows you how adding a filter (and cable release) allows you to open the shutter for long periods of time to create ethereal, otherworldly shots. Gather practical tips for keeping yourself and your gear safe. Kurt offers advice for what to wear, how to keep gear dry and safety tips for walking around an unstable coastline. Learn how and when to get yourself into position and what to do if your camera gets wet — or even soaked. Then, learn how to clean your camera and tripod to prevent saltwater corrosion. 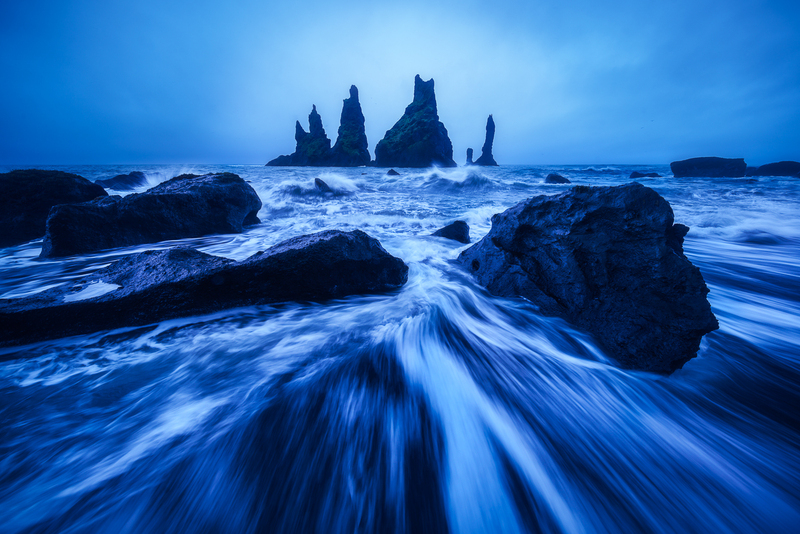 Discover the best post-processing tools and effects for bringing out the natural beauty and raw power of your amazing seascape photos. 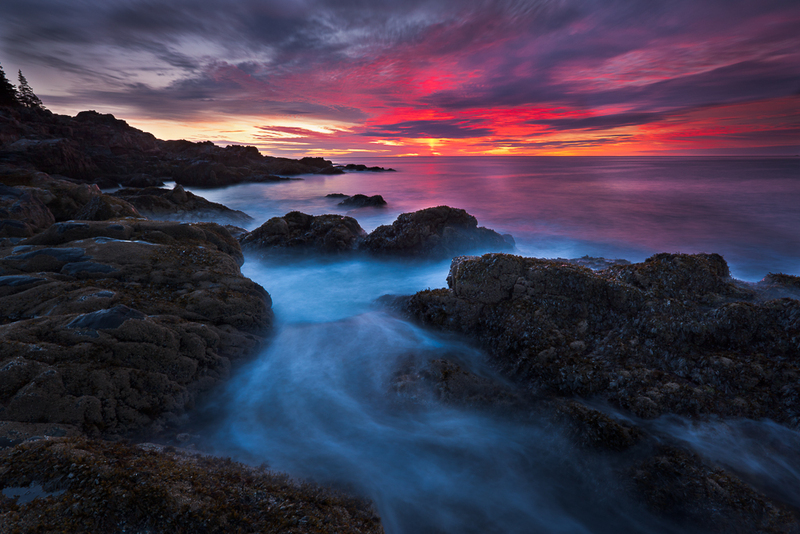 Kurt offers professional tips for using the histogram on raw files to optimize dynamic range. Then, see how to improve the color, vibrance and brightness of your photos using Kurt’s shortcuts and tricks. Finally, learn how to dodge and burn your photos to lead the viewer’s eye.